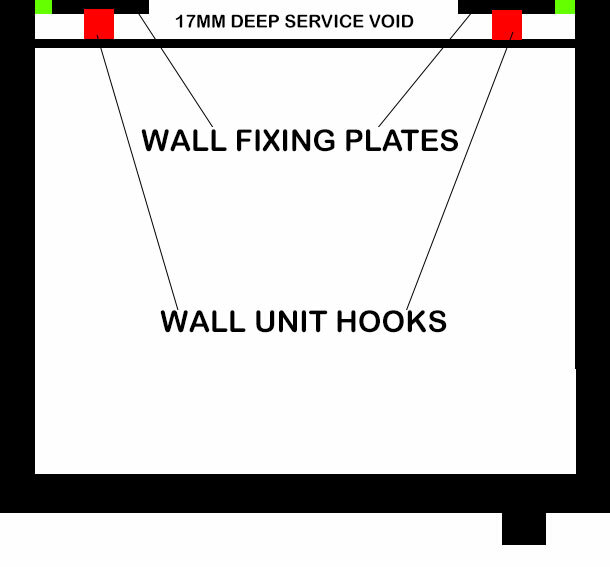 This guide shows you how wall units are attached to hanging brackets & plates and how to adjust the wall units so that they hang straight and level. Wall units are hung on adjustable wall hanging brackets.The brackets are supplied with wall hanging plates, which should be secured to the wall with suitable wall fixings. The hanging plate drilling positions are shown below. Wall units are fitted with adjustable rear hanging brackets. Remove cover caps on inside of cabinet. Turn the top adjustment screw to adjust the unit from front to back. Allows unit to tilt forwards or backwards from the wall. Insert screwdriver into hole below the top screw and turn to move unit up and down Adjust unit for height. By adjusting at both sides the unit can be levelled. Do you have any tips for placing a hob in a corner? Do your glazed wall units come with glass shelves? How close to a ceiling can the wall units be fitted? The diagrams look like you need about 10mm to hook the unit over the bracket but your planner says you need a ceiling height of at least 2450mm for a 2300mm unit. I am not using a cornice so do not need access above to fit it. Hi, you will need to ensure you allow 100mm gap if you are not using a cornice. Hi, 100mm is recommended to give you enough space to be able to push the units up and over the wall brackets and back down again. You could probably do it with a smaller gap but it would be much harder to get the units into position. How do you prevent the wall unit from sliding off the brackets if accidentally pushed laterally? Almost happened to me during installation and now am a little bit concerned. Hi Pierre, once the wall units are attached onto the wall plates, you need to turn the top screw from the inside of the unit, so that the wall unit is flat to the wall. Once this has been done, the unit cannot move more than a few mm in each direction, as the side of the unit then hits the wall plate and prevents the unit from moving. The minimum movement left & right then allows you to attach the units together using the unit connecting bolts supplied in the fittings box. The green sections in the image below show how much the unit could move and it cannot slide off the wall, left or right as the sides of the unit prevents it. Hello – what size screws fit the wall hanging brackets, how big are the holes? Hi Jeremy, for the wall hanging brackets, they need 2 1/2″ long screws with a 10mm head. How do you attach the Luca curved wall units? There are no fixings at the back. Do you attach it to the wall unit next to it and not to the wall? Is that secure? Hi, the curved units do not come with fixings at the back and are intended to screw into the unit at the side of them. 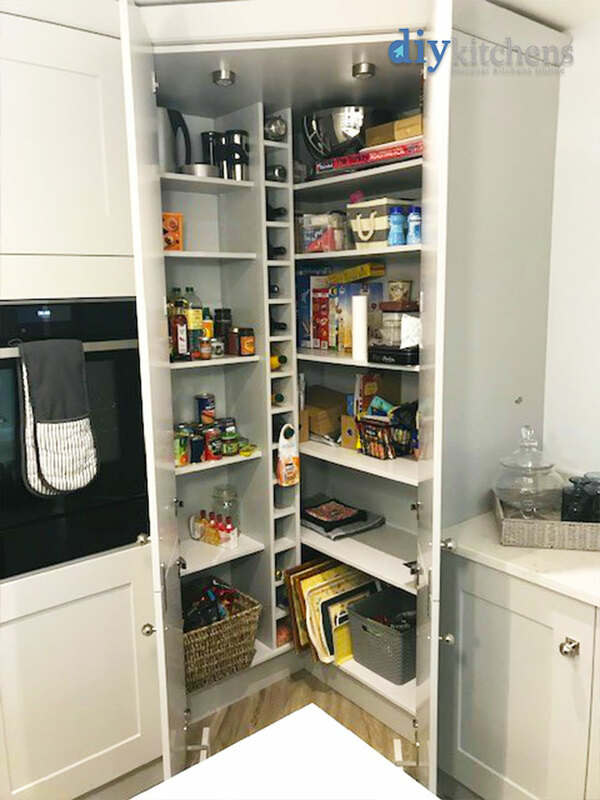 Having fitted a few kitchens in the past some wall units have additional fixings lower down the cabinet, in addition to the usual top hanging brackets. Do your wall units have or require these extra fixing points? 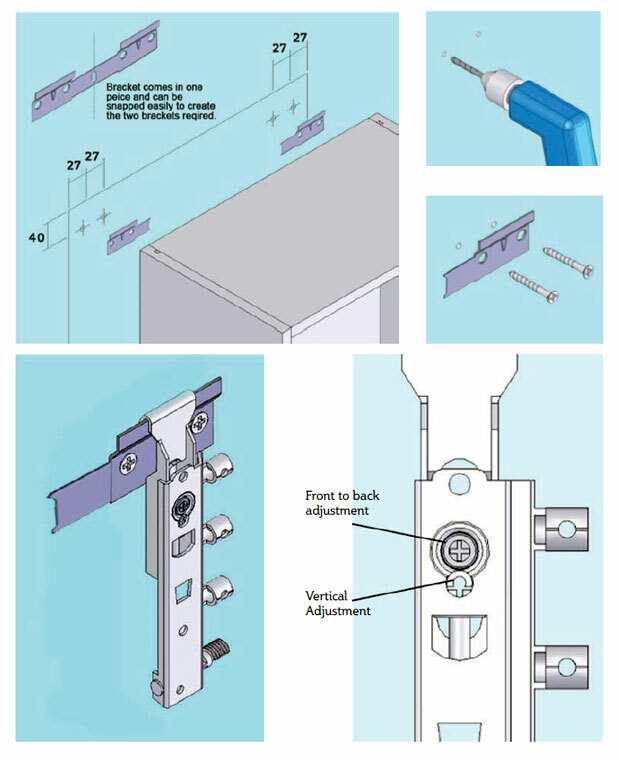 Hi, the only fixings are at the top of the unit, as shown on pages 11 & 12 in this Technical Guide. 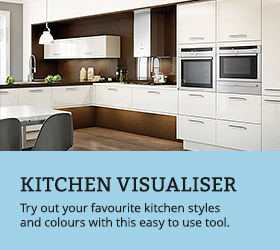 I am looking at ordering a Luca carbon kitchen. We have just had an internal wall replaced with timber stud and we are needing to know what heights to place the noggins (structure support) for the base & wall cabinets. We have a 300mm wide/ 1970mm high larder with 720mm wall cabinets, in 300mm and a corner unit. Could you advise where the fixing points on the units are? Hi, the height of the base units including the legs are 870mm, the tall units are 2120mm, for the wall units the hanging plate, which fix to the wall will need setting at 2080 from the floor. Hi, we use one standard size hanging bracket. We would advise you to baton the wall if you are installing onto a stud wall. Then use the supplied wall brackets, ensure that your screws reach through to the batton behind the plaster board. 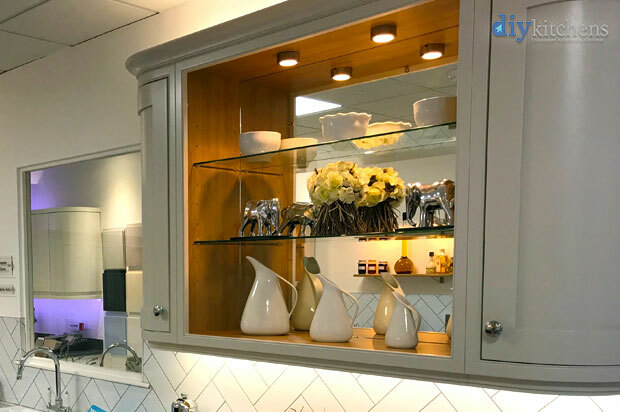 Once the brackets have been fitted to the wall, you simply position the wall units on the brackets, align the wall units and then secure them together using the supplied unit connecting bolts. Hello, I have this similar cabinet hanger. Can someone tell me please what type of bit should I use to adjust the height of the cabinets? I tried with T27 and PZ2, PH2 but it does not work. If it helps the head of the metric screw looks like a Castle Nut. Hi, the adjustment only requires a Phillips head bit to adjust both the tilt and vertical axis of the cabinet. Yes PH2 is the answer, the hardware piece on which I tried several bits had a manufacturing defect, I change it and now it works. I’ve bought a new kitchen and the fitting plate for wall unit is very close to existing holes from the old kitchen unit – do you have any tips regarding filling the old holes (in brick) to make them strong enough for the new fittings please? The best thing would probably be some very hard fast setting filler. 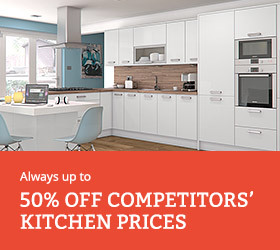 As we don’t fit the kitchens, the best thing to do would be to contact your fitter or go to a hardware store on the high street and ask which would be the best filler to purchase. What tool do you need for vertical alignment! We have tried different size torx and hex and I phoned your helpline but they didn’t know. A Philips screwdriver works for the vertical alignment however it works on a cam style rotation, so it looks as though it will not fit/work but it does adjust when inserted into the alignment hole. Hi, my corner unit Has no bracket. How Am I suppose to fix it to the wall? Hi, if it’s a base unit then we don’t supply the L-brackets. 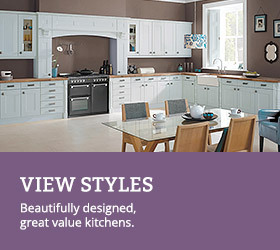 If it’s a wall unit then you can contact Aftersales on 01977 608 418 to get one sent out to you. I have your horizontal bifold wall units but I cannot find instructions on how to adjust the doors on these, both the angle and the speed that they open. Hi, there is a installation guide on the website but there are no instructions for the bi-folds. 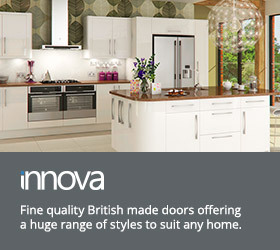 If you phone 07879402469, Kenny our in-house fitter will be able to help you.